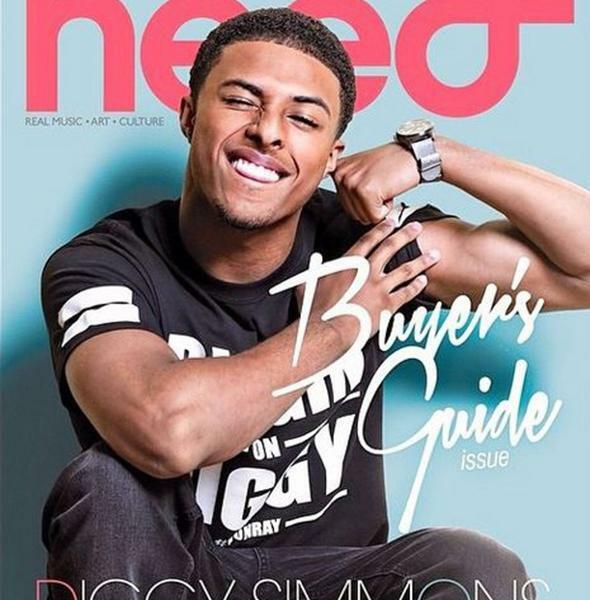 Heed magazine cover. . Wallpaper and background images in the Diggy Simmons club tagged: photo. This Diggy Simmons photo might contain سائن ان کریں, پوسٹر, متن, چاکبورڈ, نشانی, تختۂ چاک, پورٹریٹ, آرچر, closeup, تصویر, ہیڈشوٹ, ڈاؤن لوڈ ہونے والے, مزاحیہ کتاب, منگا, کارٹون, ہالی ووڈ, and کامک بُک. diggy and his پرستار on his birthday . Those big arms! I'm in love all over again! I GOT THIS ISSUE TOO!!!! I LOVE YOU DIGGY!!!! !